I’m honestly surprised that they didn’t invoke a hitherto unknown “Superbaking” power for this story. Still, it is amusing that the cake is a “super-cake” instead of a just plain “giant cake” by virtue of the fact that it was made by Superboy. 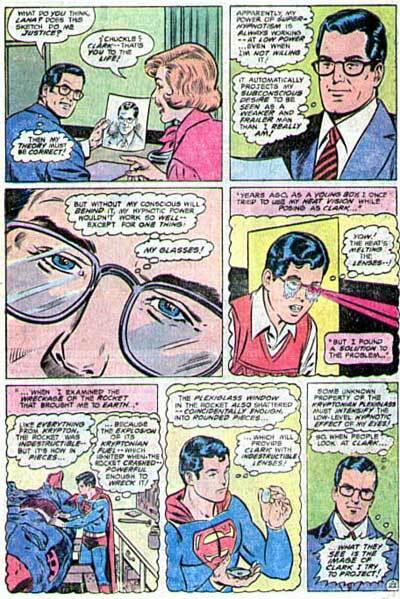 This was the canonical explanation for why no one recognized that Clark Kent was Superman. That, and it could be broadcast over television, and had a residual effect so people wouldn’t notice it in photographs when he’s not around. Super-Hypnotism. Amplified by Plexiglass. Broadcast over television. 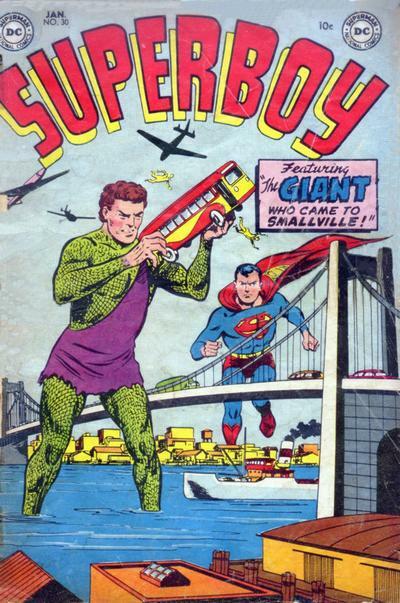 But if Superboy is a giant too, does that make him the Giant Who Came From Smallville? 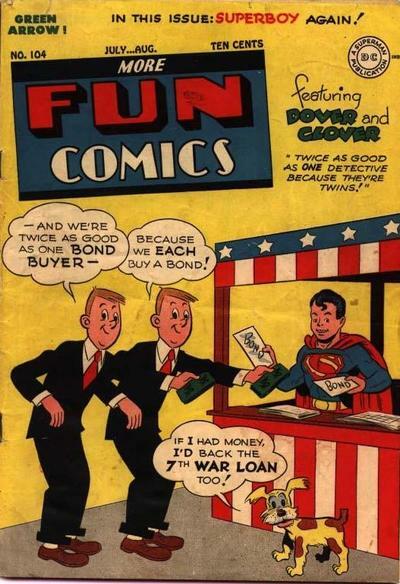 How many kids were they expecting to buy war bonds, anyway? 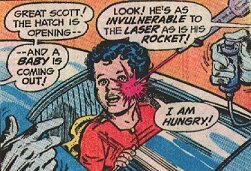 So, uh… What if the baby hadn’t been invulnerable to the laser? Seems like that would be the sort of thing you should determine before shooting innocent children with laser beams.